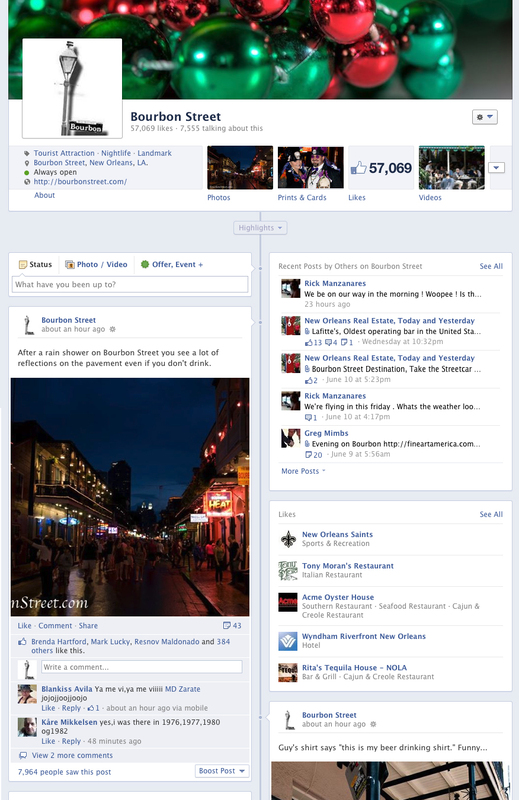 If you have information you wish to share or promote here begin by mentioning it on our Bourbon Street Facebook page. We are always open to sharing information about Bourbon Street, the French Quarter, New Orleans, festivals, parades, concerts, events, etc with our audience. We enjoy promoting artists, photography, musicians, bands, etc. here but whatever we promote has to be connected to Bourbon Street or the French Quarter in some way, has to meet certain criteria, and has to be of interest to our readers based on statistical information we’ve gathered over the years. You may also contact us through the Facebook page if you have questions about how to get your information in front of our viewers. We reserve the right to reject anything we feel does not serve the best interests of our audience. Any photos, videos, or such items must be submitted by the actual copyright owner.